We're all for beauty shortcuts or anything that will turn us from zero to 100 really quick. Halfway through 2017, a new effortless eye makeup trend emerged: upside-down eye makeup. 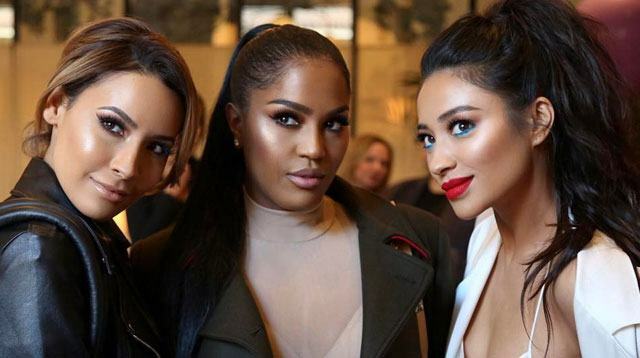 Byrdie reports that Shay Mitchell and Olivia Munn have been experimenting with this look. We love how Olivia made teal eyeshadow work without looking too high fashion. So what is it exactly and how does a regular Pinay pull it off? Think of it as a smoky eye, but instead of diffusing the color on the crease, simply do it near the bottom lashes. This technique is what makes it super easy. You don't need insane Insta-beauty influencer skills to ace it. Just make sure to balance it out by curling your lashes and filling in your brows. If you're new to the whole eye makeup thing, try an ashy shadow on the bottom and pair it with softly-lined upper lashes. Or, you can go dramatic like Andrea Torres by patting a wash of copper on the eyelids, and a thick, yet smoked out, taupe eyeshadow on the bottom. Want something bolder? Do a cat eye and electric blue eyeshadow instead!